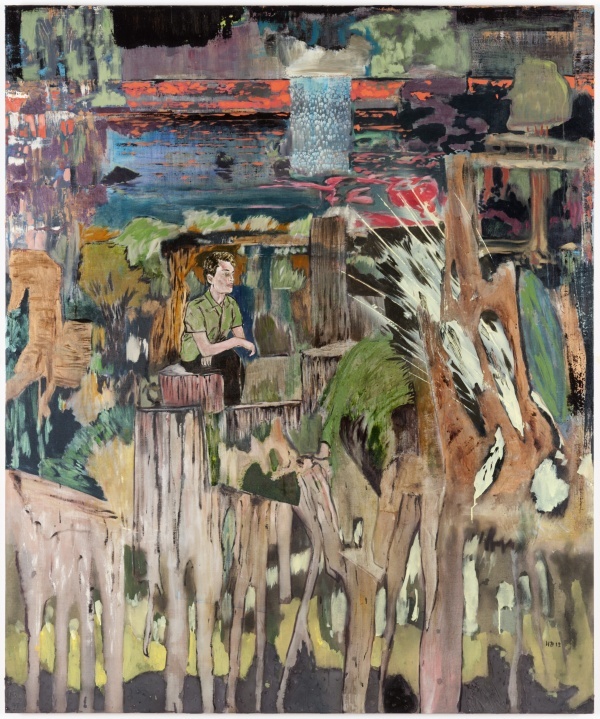 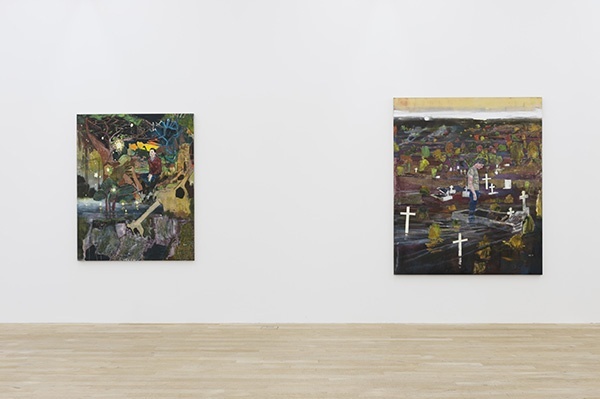 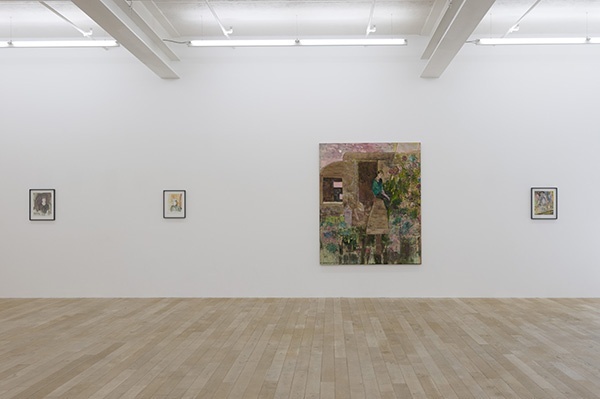 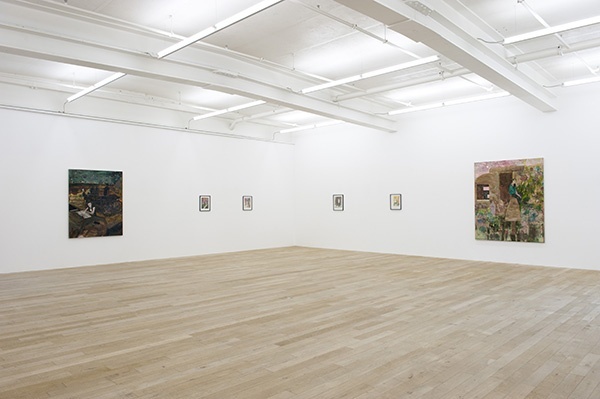 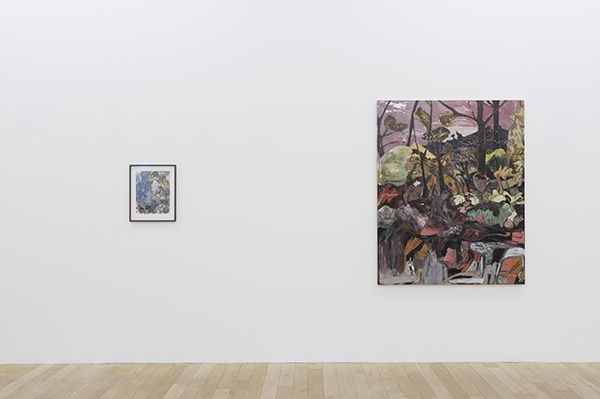 Vast, sprawling landscapes have inhabited the paintings of Hernan Bas for some time now, so the impressions Bas gathered during his residency in Texas seem like a natural continuation of his theme. 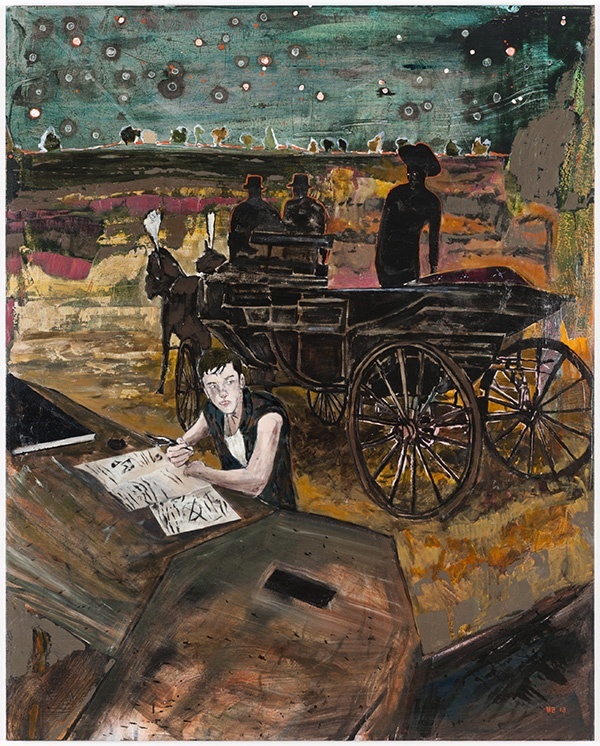 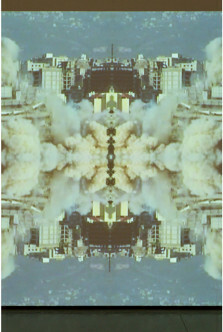 The painting There?s just no point in crying accentuates the shimmering heat with the yellow and white horizon in the background, while a young man stands silently in the center front, looking down on a grave (2013, acrylic and airbrush on linen, 182 x 152 cm, shown on invitation card). 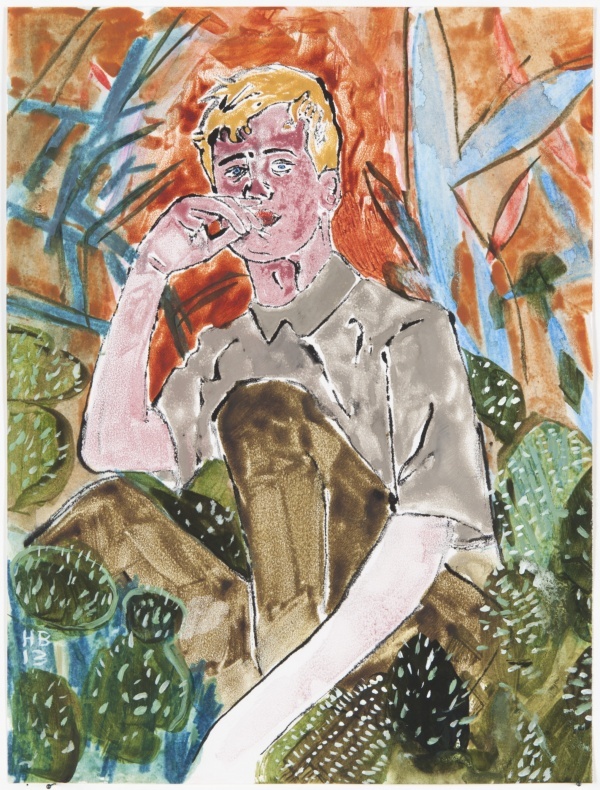 Inspired by the aesthetics of the male androgynous dandy, Hernan Bas constructs an account of adolescent exploration. 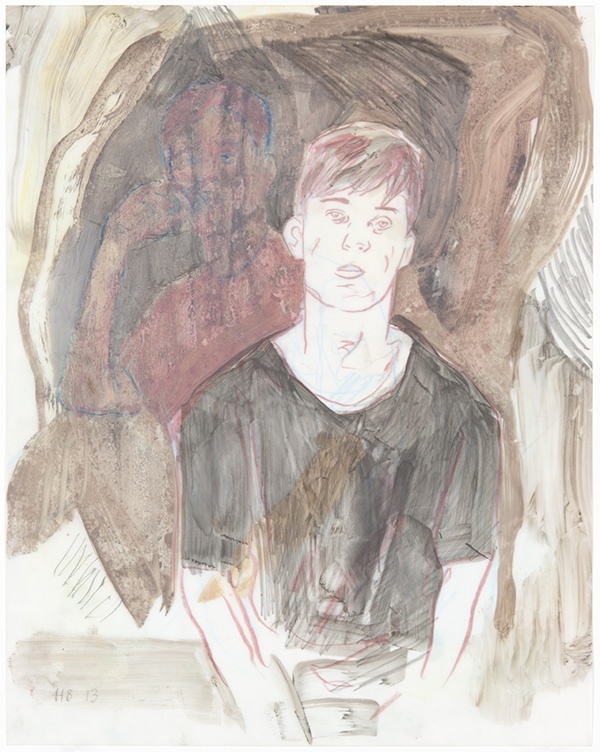 In other instances the suggested narratives may double as metaphors for a sexual and sensual awakening. 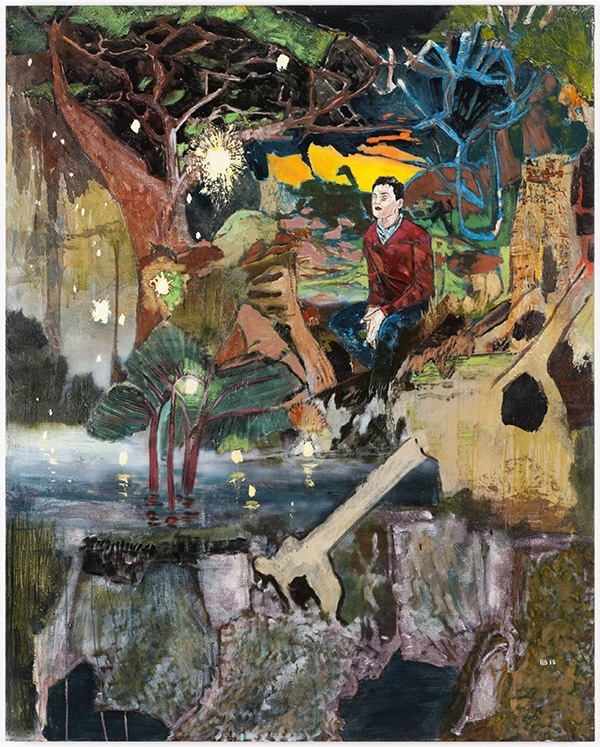 Usually portrayed alone amidst their surroundings, the youths in Hernan Bas?s paintings reside in a utopian world of instinctive sensuality. 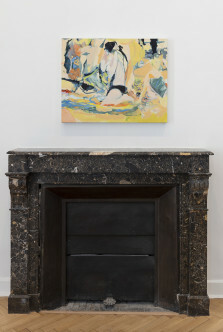 The detailed surfaces of the exhibited paintings are full of vibrant colors layered in broad brushstrokes. 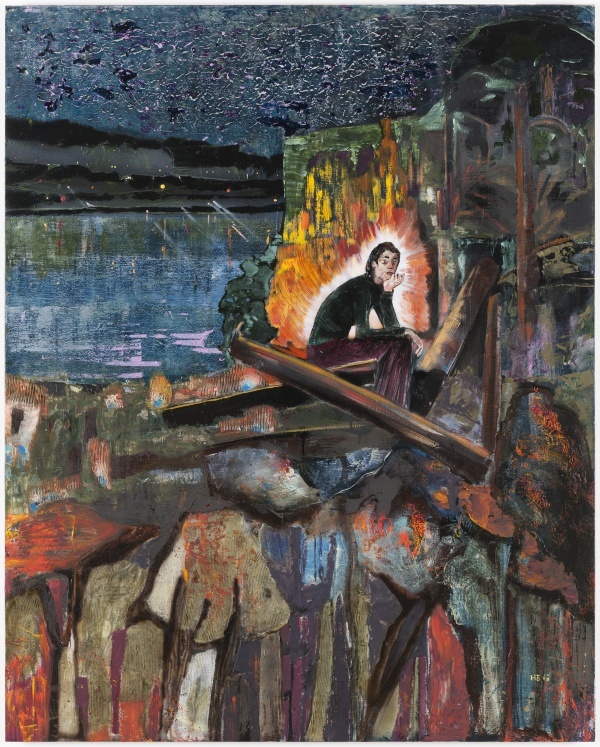 Despite the large formats of his paintings, Hernan Bas continues to work without studio assistants, thus maintaining a maximum operating range. 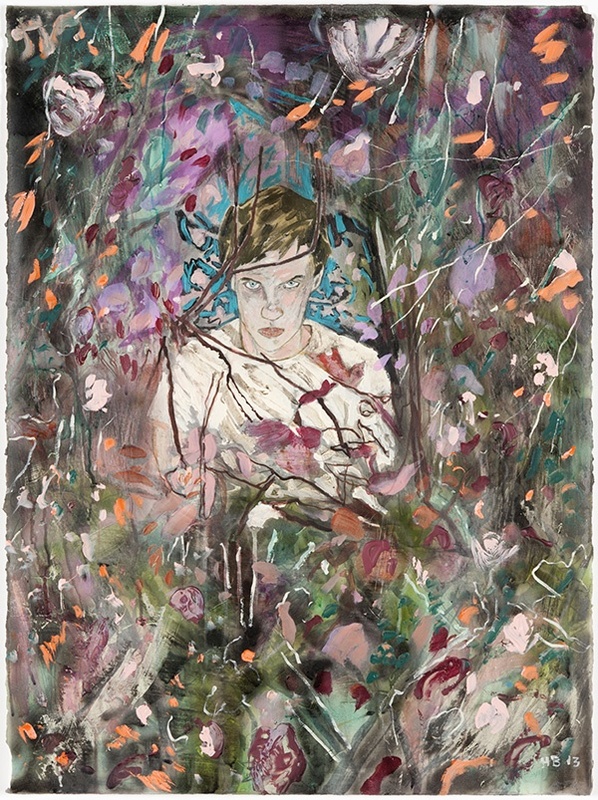 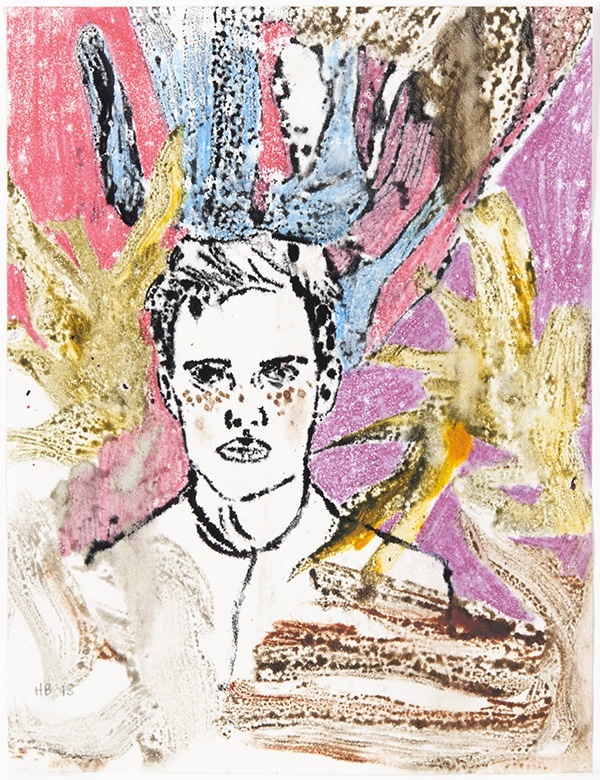 Recently, Hernan Bas has explored and expanded on printing techniques, which he combines with painting to add texture to his works. 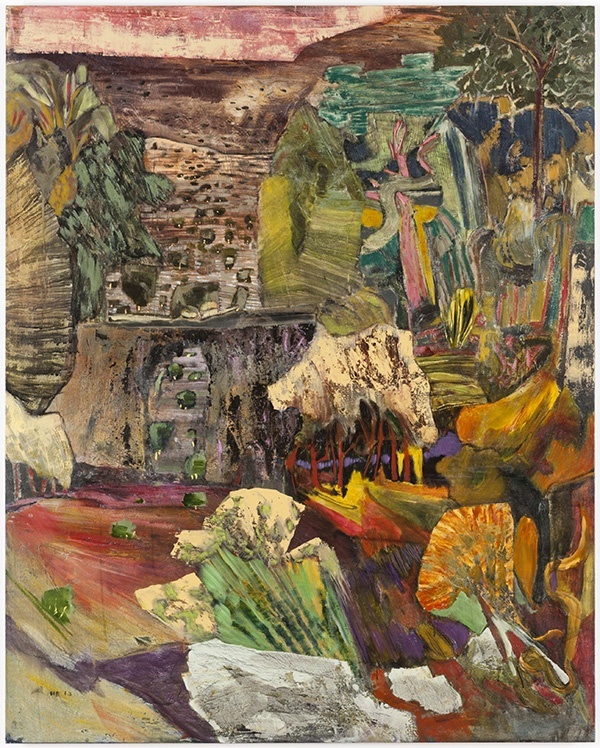 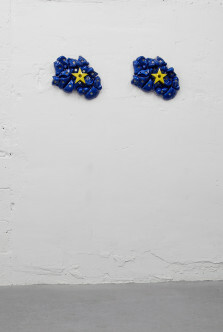 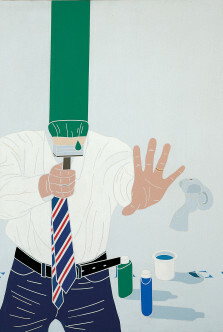 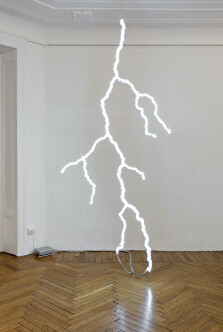 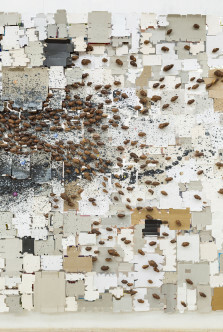 The exhibition is completed with the presentation of smaller works on paper, which address the same thematic realm.